After spending one year attending the University of Illinois, author Lou Satz entered the military service as World War II was concluding.To some extent, Plays Well With Others’ hero, Ivan Rudican, follows in the author’s footsteps. 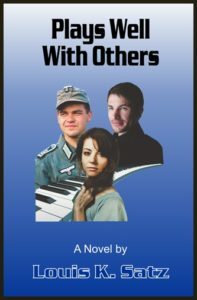 Rudican’s journey takes him to occupied Europe for fourteen months where he has a passionate affair with a survivor of the Holocaust. On his travels to foreign countries, Rudican meets unforgettable characters and witnesses the birth of Israel. He attends world famous music festivals and interacts with renowned musicians and conductors. Eventually, he becomes highly involved in the publishing industry.